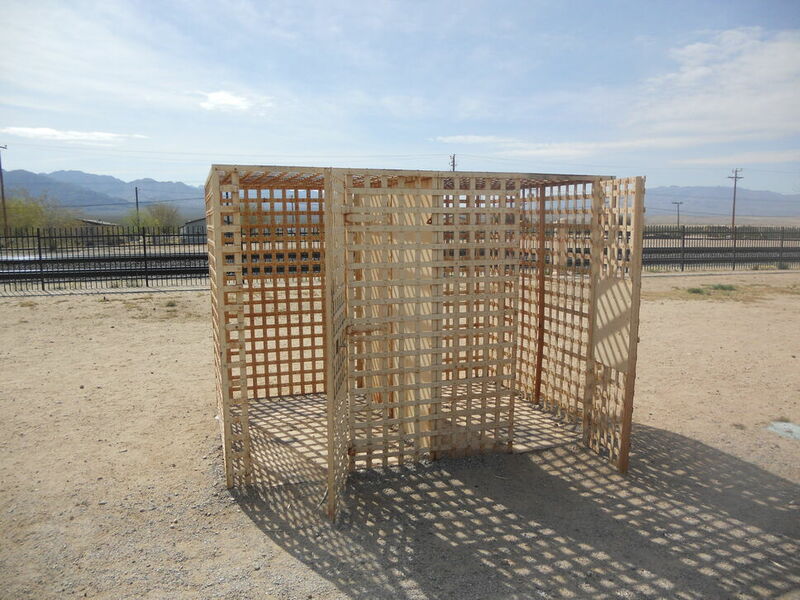 The two stalled jail was made out of metal strapping. 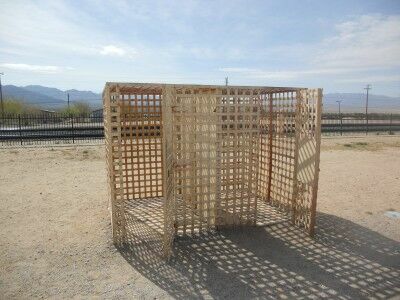 When it was actually in use, a shade roof was built over the jail with corrugated tin walls added around the cage at a later date. The jail arrived at Kelso Depot in about 1944 which was a time when Kelso depot had a large number of drunk men wandering around from both the Kaiser (Vulcan) mine and Union Pacific railroad. The jail was mainly used to house these drunkards. This must have been a pretty miserable place to be locked up, especially since the jail is less than 6 feet high. I’m not sure if the roof and tin walls would have helped relieve the heat or only add too it, but it certainly would not be a place that anyone would want to wake up with a hang-over.